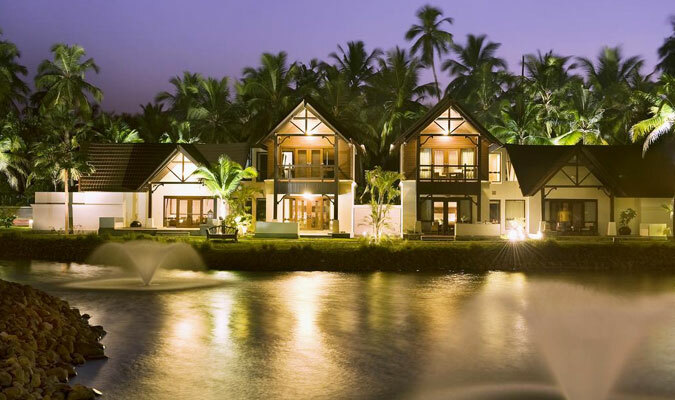 The LaLiT Resort & Spa Bekal in Kerala is one of the most preferred beach resorts in Kerala because of its strategic location amidst the pristine backwater. The hotel is completely covered with internal lagoons, backwater and the sea. Apart from the gorgeous locations, the hotel is also known for housing the country’s best Spa facility that offers guests Ayurvedic massages, therapeutic treatments, beauty facilities, yoga classes etc. For a relaxing vacation, a stay in this 5-star establishment is a must on every visit to Kasargod, Kerala. LaLiT Deluxe Room: The rooms are decorated with gorgeous wooden work. The rooms are very stylish and elegant. Also the rooms are provided with all the modern requirements. LaLiT Luxury Room: The LaLiT Luxury Rooms are known for providing glorious views of pristine blue waters and picturesque sceneries. LaLiT Spa Room: The LaLiT Spa Rooms are ideal for those who wish to enjoy the hotel’s amazing spa facilities. Kettuvallam: For spending a romantic time, the houseboat Kettuvalam offers a secluded and luxurious stay to all. Presidential Villa: Two spacious bedrooms, one deluxe living room, modern bathrooms; what more can one expect from the Presidential Villa. Nombii: Serves multi-cuisine food, especially known for amazing and fresh seafood delicacies. Nombili - The Bar:The guests here enjoy the wide range of alcoholic and non-alcoholic beverages.